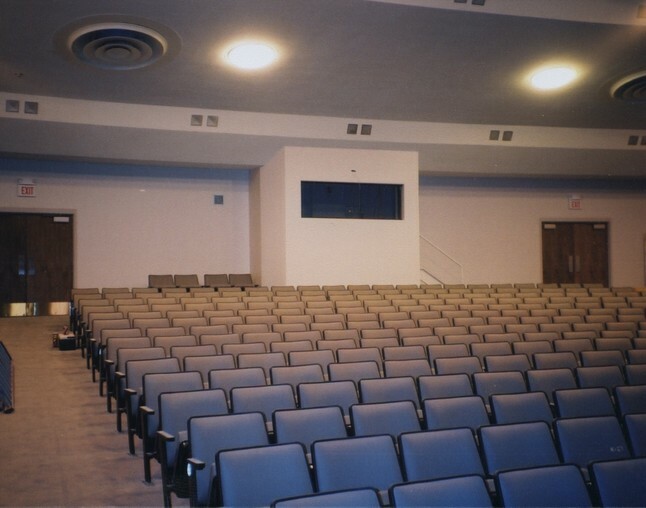 The Petersen Auditorium was dedicated in October, 2001. Part of the auditorium was originally known as the Kewanee High School Auditorium, built in 1956. 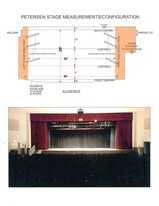 In 2000-2001, the auditorium underwent a major renovation and expansion. Visitors today will experience a state of the art facility complete with the latest in professional sound and lighting equipment, comfortable new seating for 800 guests, air conditioning, large washrooms, a coat storage area, a concession stand, and a new heating and ventilation system. The Petersen Auditorium also houses the famous Kewanee High School Steinway Grand Piano. The auditorium lobby is large enough to be used as a meeting and conference facility itself. It is equipped with its own sound system and seating for up to 300 people can be provided. The Petersen Auditorium Lobby is the home of the Kewanee Schools Foundation's Wall of Honor. The renovation design of the Petersen Auditorium preserves the original integrity of the original auditorium's architectural design and its excellent acoustics. Petersen Auditorium was named in honor of Robert L. Petersen, who served as member and President of the Board of Education for District #229 from 1973 to1994. He was also deeply involved with the school district as Chairperson of the Special Education District, volunteer coach, and financial supporter.